Ideal for smaller dual color jobs, the new LineLazer V 200DC simplifies the 2-color application process by combining the power of two units into one. 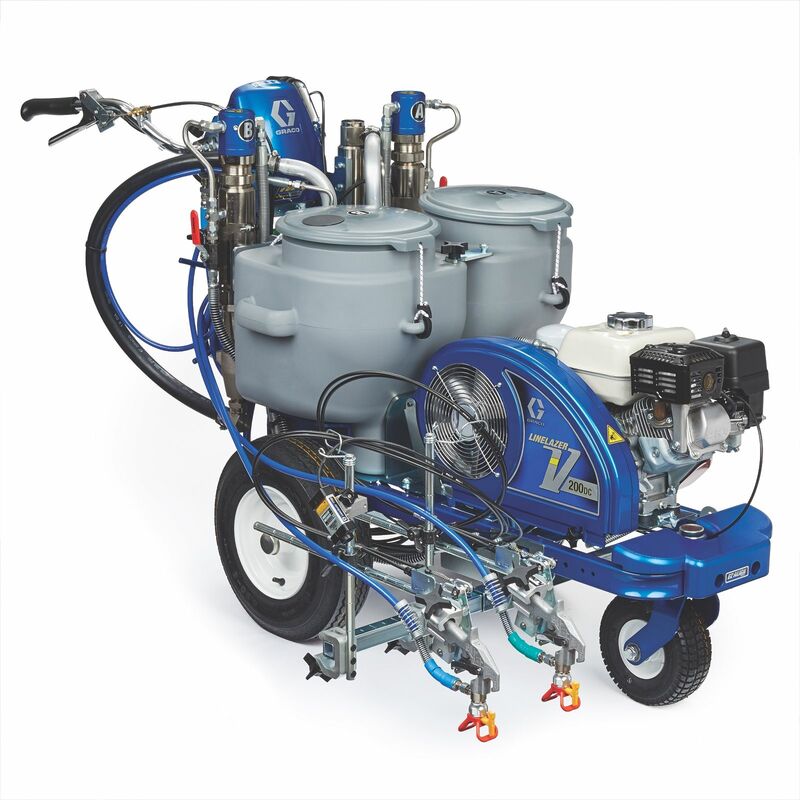 With two large 10-Gallon material hoppers, striping contractors can improve their efficiency and profitability by eliminating the need for separate "yellow" and "white" machines and spending less time refilling materials. 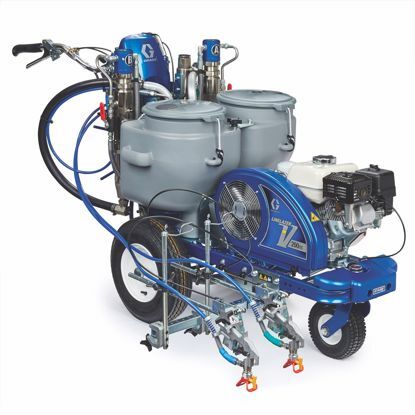 The HP Automatic Series adds enhanced features that provide contractors automatic line production capability, including skip-lines, as well as real-time job performance data for proof-of-job requirements. Automatic, Semi-Automatic Guns - Push Button Control, Perfect to use on Airports. Takes the guesswork out of line length. J-Log System with USB Download - Valuable Job Information. Proof of job = More striping opportunities. USB download capability allows you to capture and save all job data. On-Board Battery Power - 12 Volt battery stays charged when unit is running. Easily power LED lights, safety beacons and lasers. Large, Dual 10-Gallon Hoppers - Less Refilling. Dual Graco Hydraulic Motors - Uninterrupted Performance, Proven no-stall design. 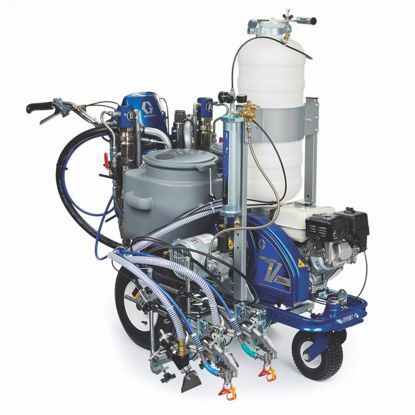 Exclusive LineLazer Cart - Stability for straighter lines from the industry’s best-balanced chassis. Accepts LineDriver user-friendly ride-on system. EasyMark Gun Adjustment System - Easy Gun Adjustments. Perfect gun alignment every time with easy-to-use Guide Mark System. 2-gun capability with QuikSelect Gun Selector. EZ Align Wheel System - Improved Front Wheel Adjustment, Simple way to keep unit tracking straight — no tools needed.